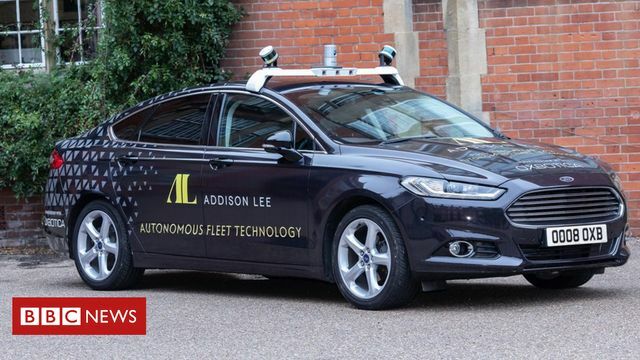 Taxi firm Addison Lee have announced that they will have self-driving taxis on the streets of London within just 3 years. Interestingly, they're partnering with Oxbotica - the same partner that are working with AXA XL on self driving cars, signed back in 2016. I'm a big fan of AddLee - they work, they arrive on time and they are professional and courteous. The drivers are always friendly and helpful. For many years though, some drivers have complained that the scale of the firm and the number of drivers they have on the roads meant they often found lulls in demand - including a good friend of mine that used to drive for them. I wonder how this news will go down with the drivers. What's been interesting is the feedback online - worth having a look, some of the tweets linked too here. From an insurance perspective, it will be interesting to see how this one plays out over the next 24 months in London. Will consumers get on board? Personally, I hope we get to lead the way for the global shift to autonomous vehicles. Addison Lee says it will now work with Oxbotica on digitally mapping public roads in and around the capital. The detailed maps will record the position of kerbs, road signs and traffic lights in preparation for autonomous cars. Addison boss Andy Boland said it hopes to offer shared minibus shuttles to passengers, to use to get to work, to study or to the airport. He said the technology would help the firm "address congestion, free space used for parking and improve urban air quality". I find it difficult to believe that not only they think they’ve sorted the tech issues, but also non-automated road users, human tolerance and a back up system when it fails... and what happens when the passenger wants to get out or change route?